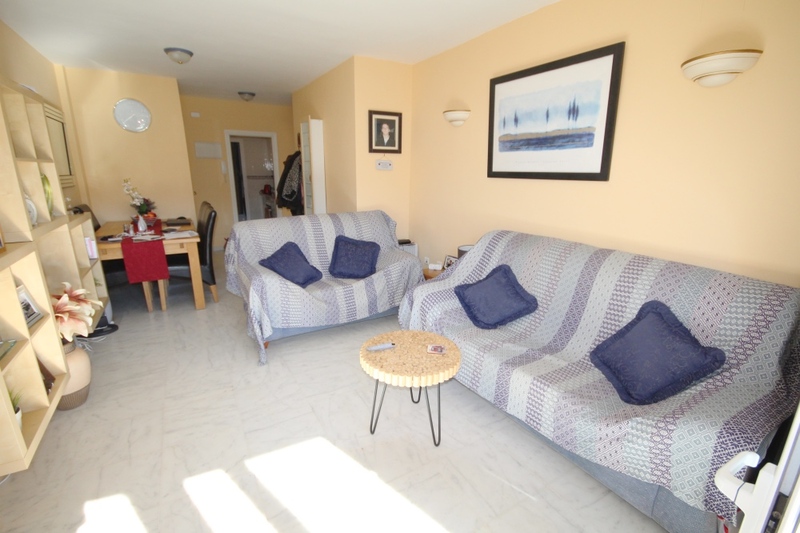 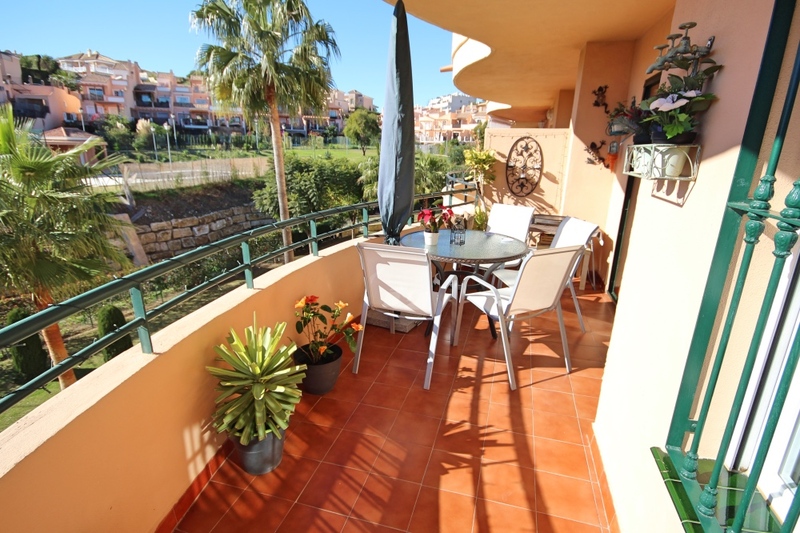 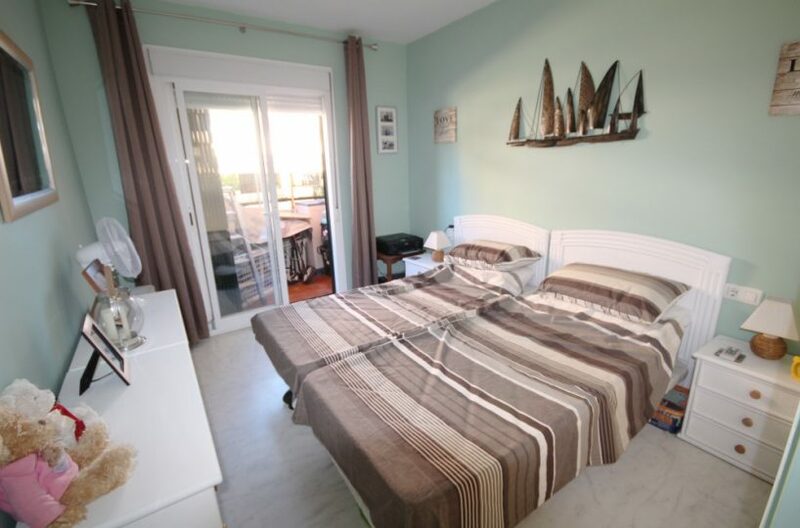 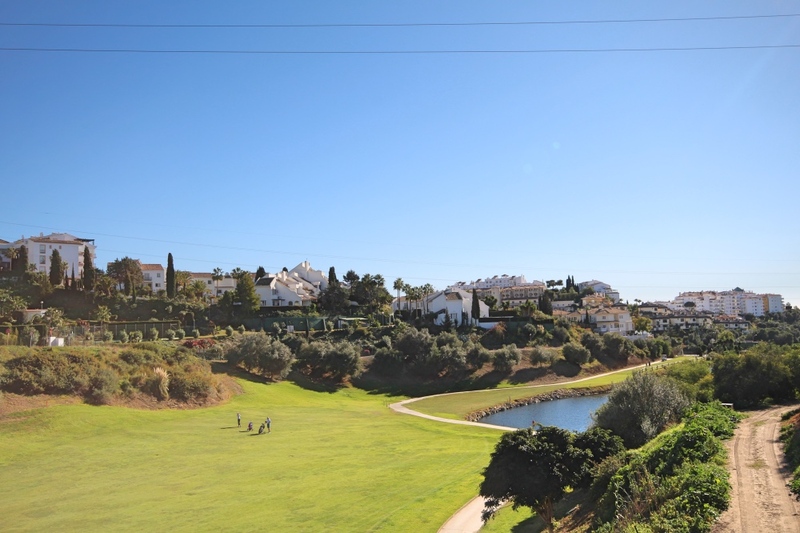 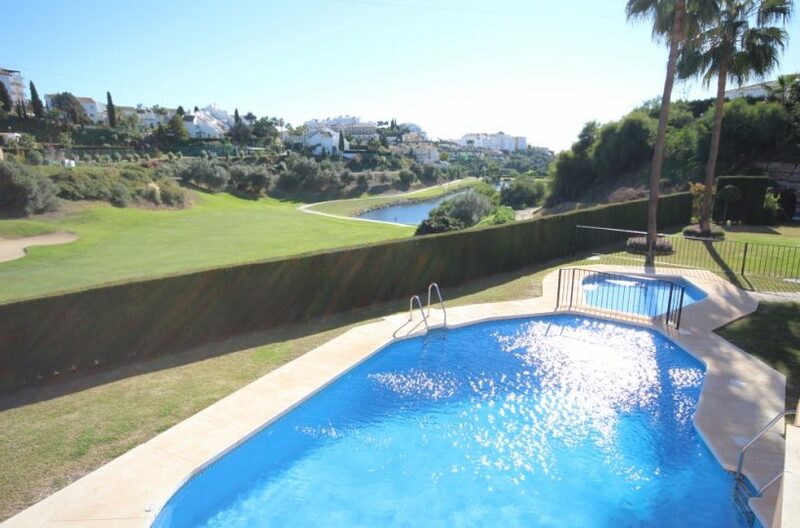 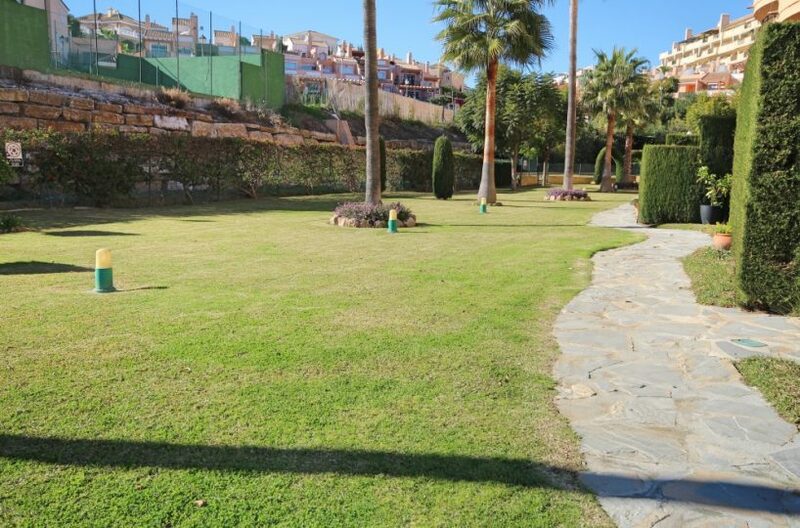 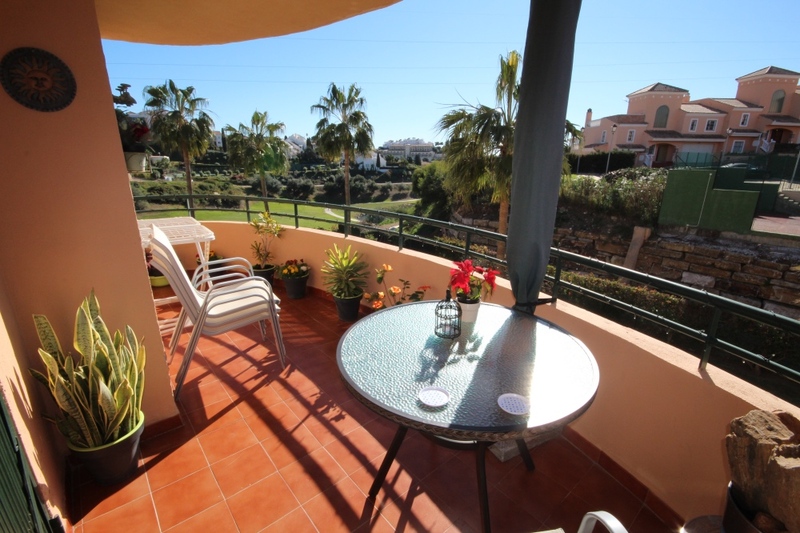 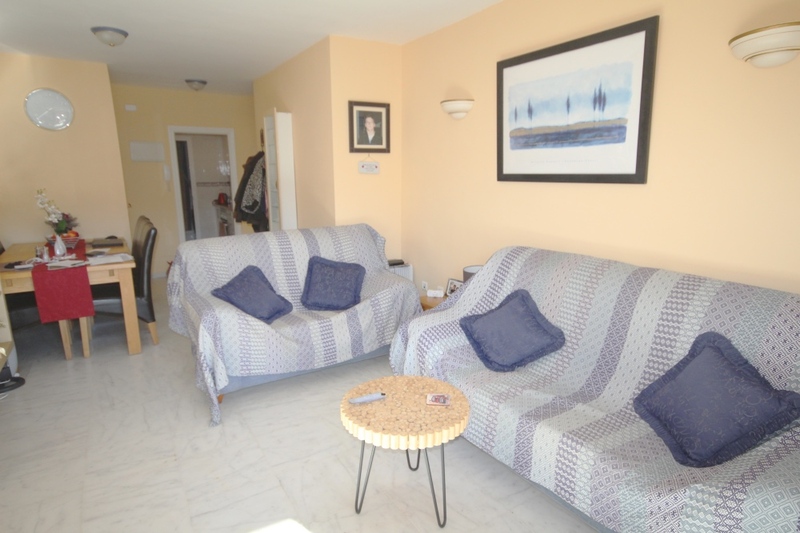 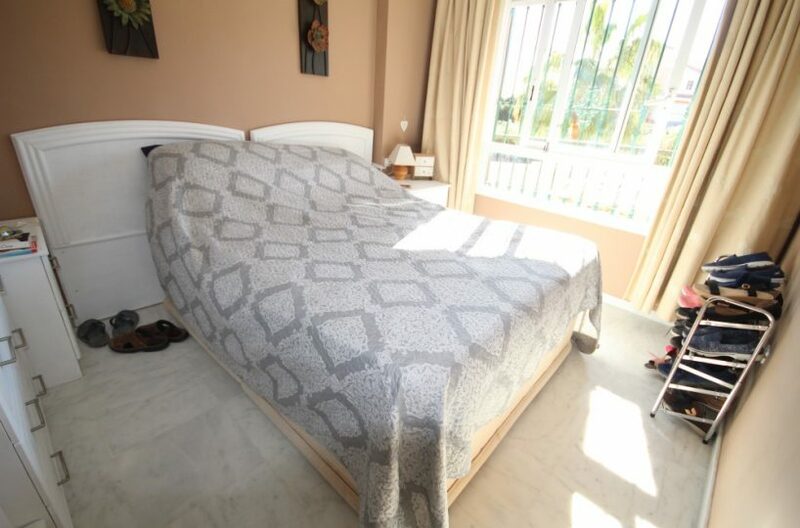 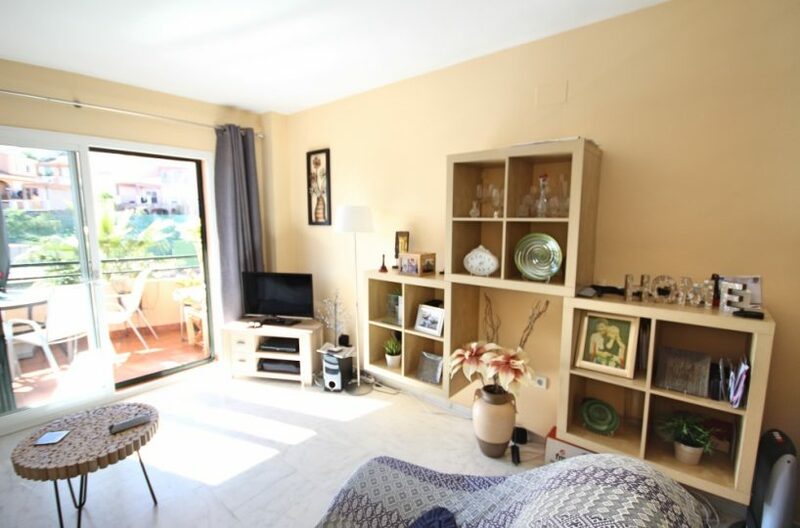 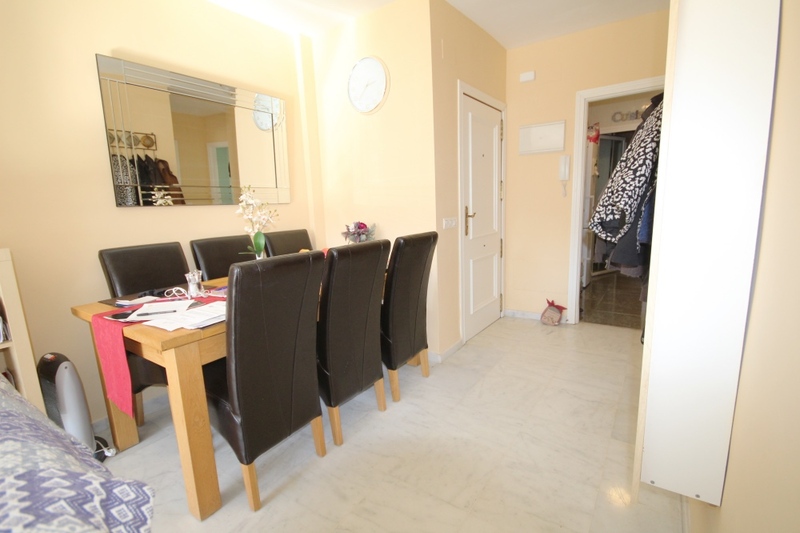 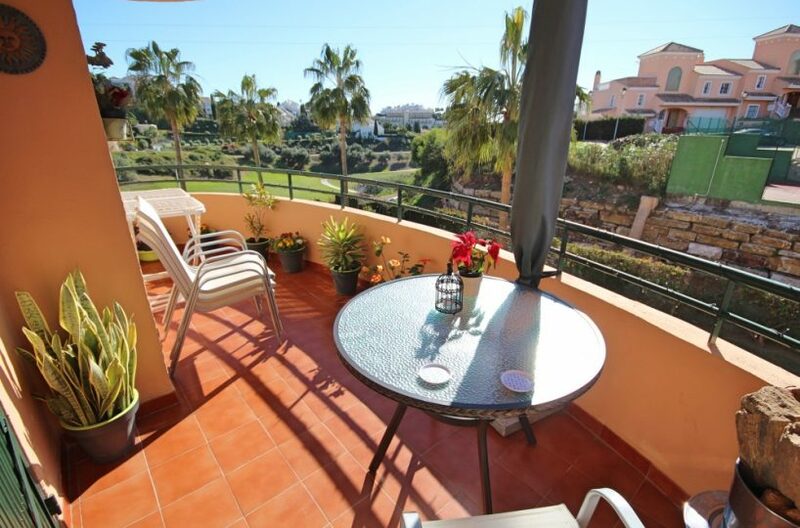 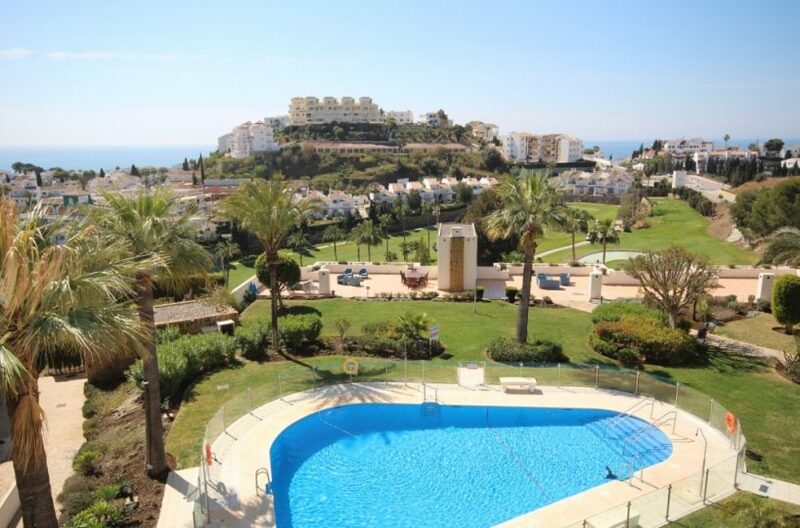 This quiet 2 bedroom, first floor, South west facing apartment is situated within the complex Las Flores Del Golf in Riviera del Sol in the Mijas Costa on the Costa del sol. 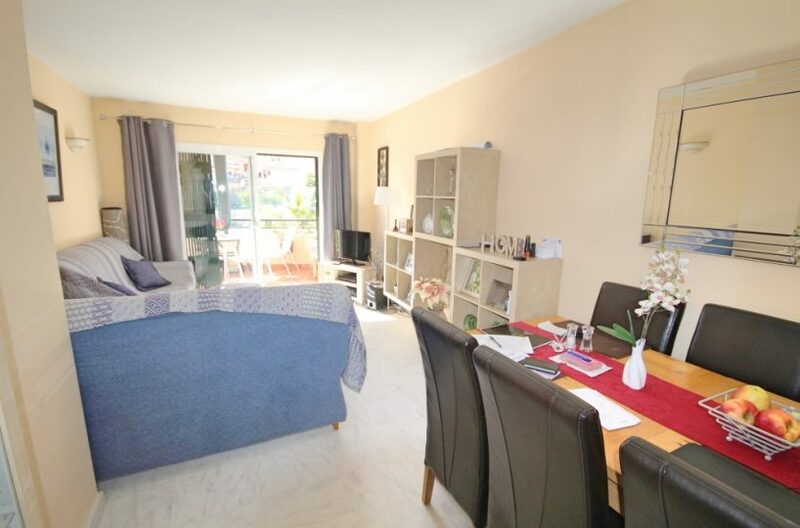 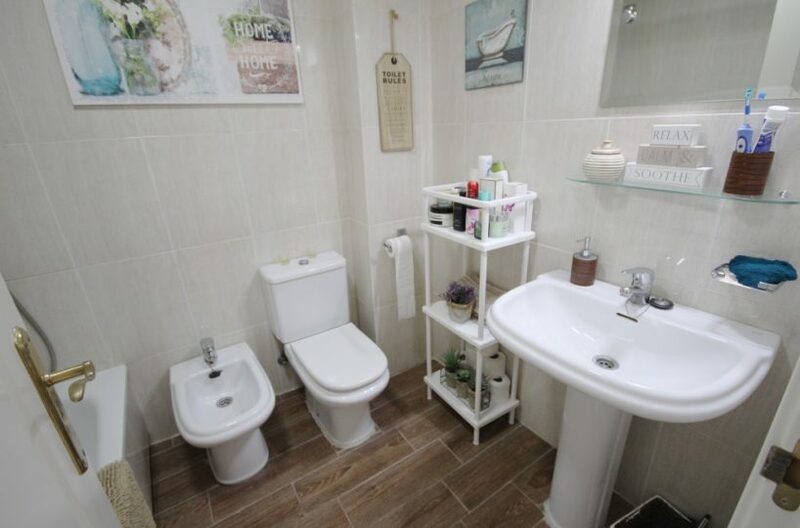 The property consists of a lounge/diner, a fully fitted open plan kitchen, 2 double bedrooms, 1 full ensuite bathroom and a small shower room with wc. 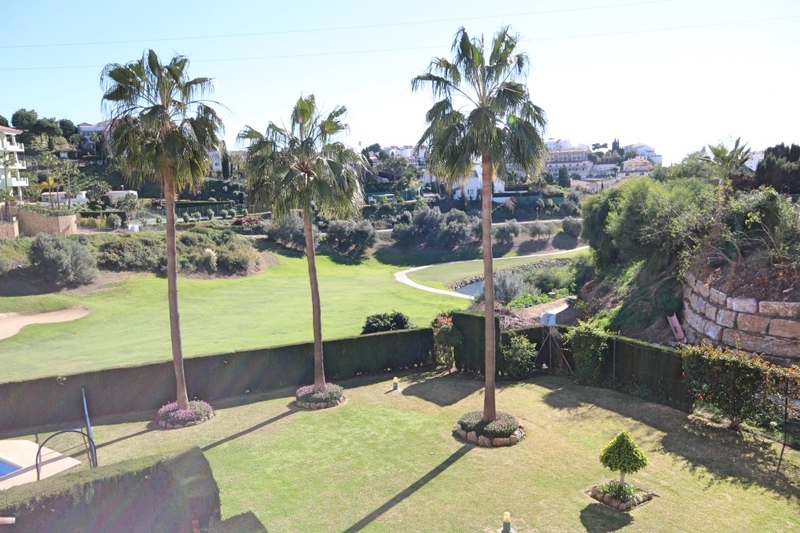 From the bright lounge / diner you gain access to the private terrace with views over the communal gardens and out to the Miraflores Golf Course. 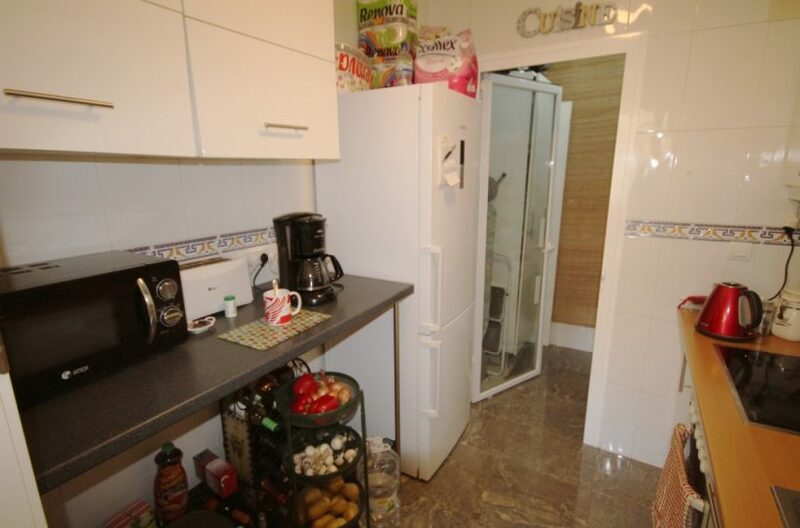 The kitchen is fully fitted with white cupboard doors and wooden work surfaces. 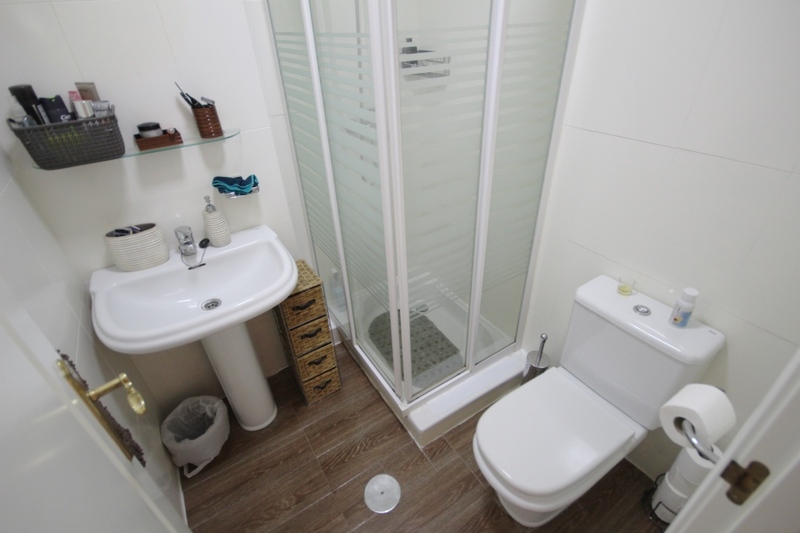 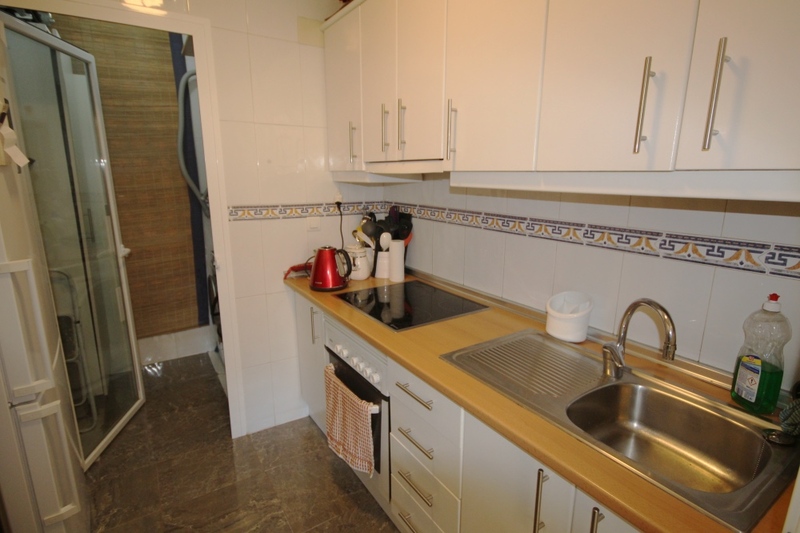 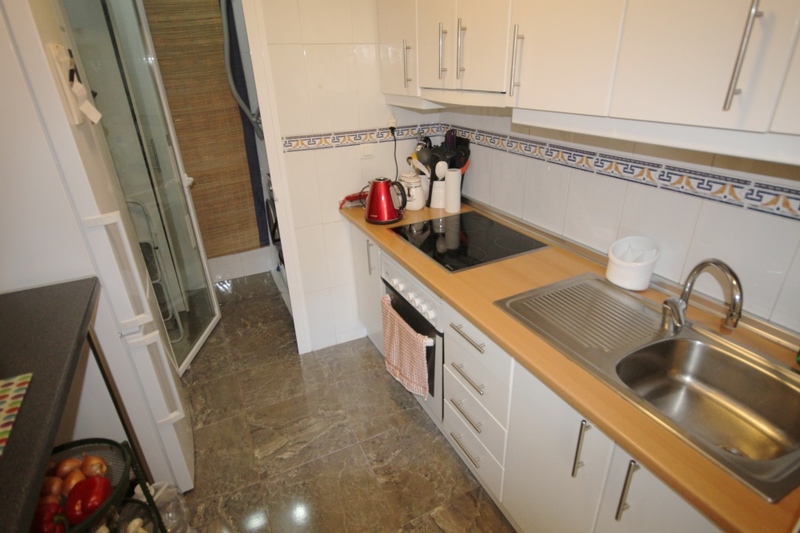 The property also has a separate utility room. 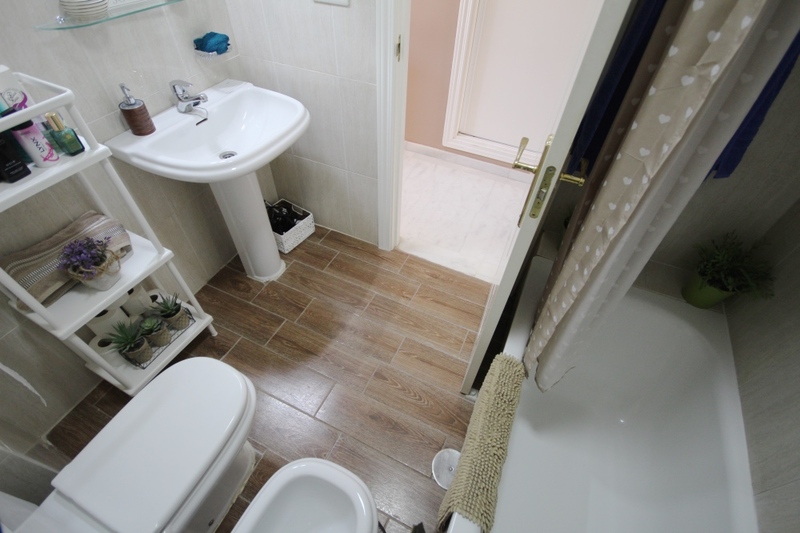 The apartment is well presented and includes ‘little extras’ like security grills, and both bathrooms have been newly refurbed. 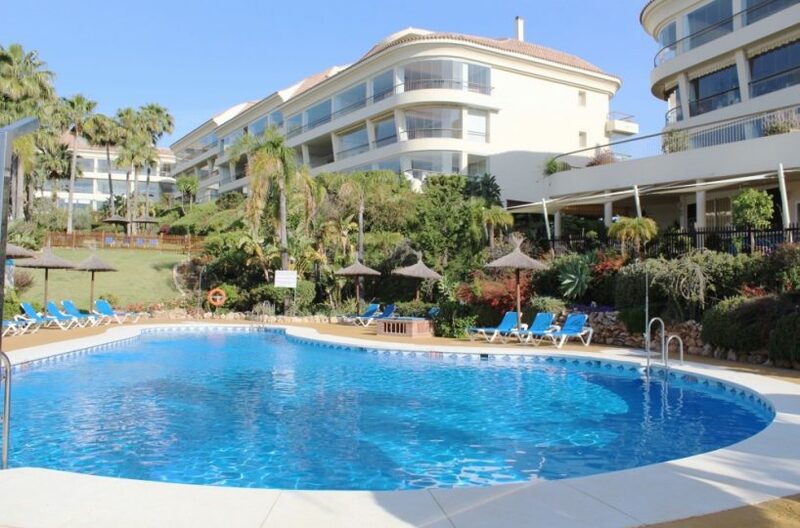 The complex has 2 community swimming pools, a children’s pool and very well maintained community gardens. 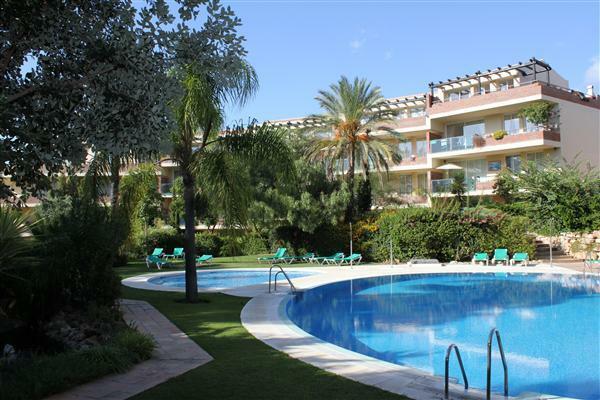 Communal parking is included within the complex.